Dathan Ritzenhein's is Sharing His Build-up for Boston at Competitor Running! It's rare that professional runners share their training, but 3-time Olympian Dathan Ritzenhein is doing just that at Competitor Running. Interesting to note that 2 of his workouts last week included 5 x 1.5 miles and 4 x 2 miles @ marathon goal pace. I had what I would call "an OK race" considering this was my first half marathon in at least 2 years. I'll admit the last 3 miles were a struggle, in part due to some hills in addition to my perceived lack of leg strength. I'll make an effort to add more hills/resistive training, in addition to some longer runs and look for another hopefully flat half marathon before it gets too hot and try to break 90 minutes. Splits: 7:00, 6:50, 7:02, 6:51, 6:58, 7:14, 6:52, 6:51, 7:05, 7:10, 7:15, 7:08, 7:29 (49' elevation change in mile 13 was enough to slow me down). After several years of getting stymied by work schedules and injuries I finally made it to the Okinawa Marathon 10K. While the marathon in hilly, the 10K is a flat out and back fast course. 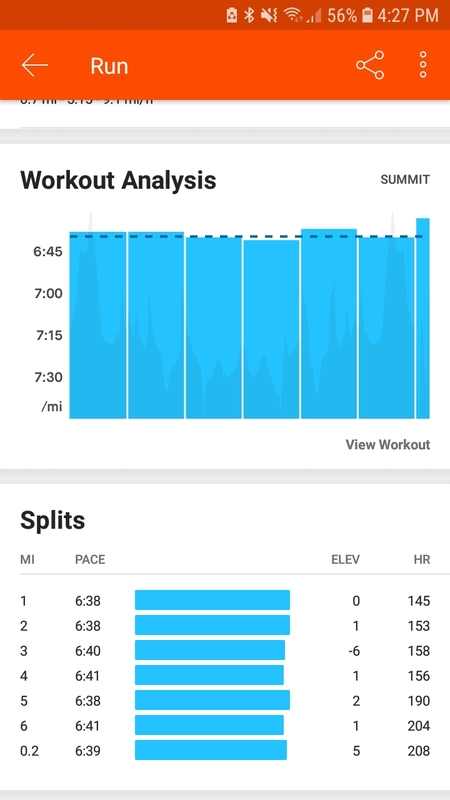 If I've ever run a 10K with more even splits I certainly don't remember. Now to recover and run my first half marathon in several years next weekend. 62 miles for the week- Nothing shorter than 7 or longer than 10 but some good quality workouts. Thanks to Dr. Ray McCalanhan of Northwest Foot & Ankle for this excellent video! Free Boston Marathon Webinar Series! Check out the free Boston Marathon webinar by running coach Greg McMillan. They kicked off on Jan 15 but each session is recorded and available at McMillan Running. 65 total miles on top of some good quality workouts and 2 long runs. Fantastic week! MY COMMENTS: This makes sense to me yet seems to be the exact opposite type of stretch usually recommended for plantar fasciitis. Check out the number of positive outcomes reported in the comments below the video.